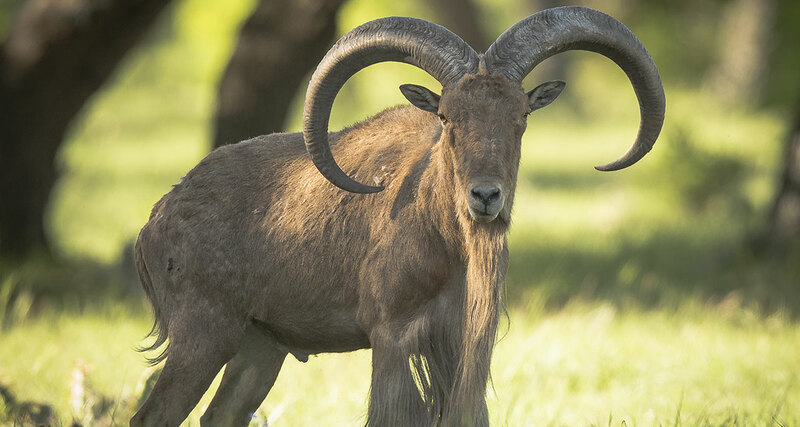 Barbary sheep are naturally occurring in northern Africa in Algeria, Tunisia, northern Chad, Egypt, Libya, northern Mali, Mauritania, Morocco, Niger and Sudan (west of the Nile, and in the Red Sea Hills east of the Nile). In the London Zoo, Barbary sheep have been introduced to southeastern Spain, the southwestern United States (Chinati Mountains on La Escalera Ranch, Guadalupe Mountains National Park, Palo Duro Canyon, the Trans-Pecos, and other parts of Texas, New Mexico, and California), Niihau Island (Hawaii), Mexico, and some parts of Africa. Barbary sheep have become common in a limited region of the south-east of Spain, since its introduction in 1970 to Sierra Espuña [Regional park] as a game species. Its adaptability enabled it to colonise nearby areas quickly, and private game estates provided other centers of dispersion. The species is currently expanding, according to recent eld surveys, now being found in the provinces of Alicante, Almería, Granada, and Murcia. This species is a potential competitor to native ungulates inhabiting the Iberian Peninsula. The species has also been introduced to La Palma (Canary Islands), and has spread throughout the northern and central parts of the island, where it is a serious threat to endemic vegetation. Barbary sheep are found in arid mountainous areas where they graze and browse grasses, bushes, and lichens. They are able to obtain all their moisture from food, but if liquid water is available, they drink it and wallow in it. Barbary sheep are crepuscular: active in the early morning and late afternoon and resting in the heat of the day. They are very agile and can achieve a standing jump of over 2 metres (7 ft). Barbary sheep ee at the rst sign of danger.They are well adapted to their habitats which consist of steep rocky mountains and canyons. When threatened, they always run up and bounce back and forth over the tops of the mountains to elude predators below. They stay in rough, steep country because they are more suited to the terrain than any of their predators. Aoudad are extremely nomadic and travel constantly via mountain ranges. Their main predators in North Africa were the Barbary leopard, the Barbary lion, and caracal, but nowadays only humans threaten their populations.